Lorena is a highly skilled, professional individual, able to tackle effectively any sort of muscular ache and pain, especially back and neck pain and sciatica. Her treatments help lower stress levels and relieve conditions associated with stress, such as headaches, insomnia, overthinking, irritability, depression. From Life Massage therapists you are always guaranteed to receive a professional, skilled service to help you achieve the ultimate well being. 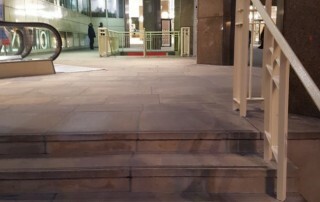 100a Hindmans Road, London SE22 9NH. Free street parking. Good public transport links, by bus and rail. Life Massage is set within Fitness First @ Cottons Centre, in London Bridge, 47-49 Tooley Street. 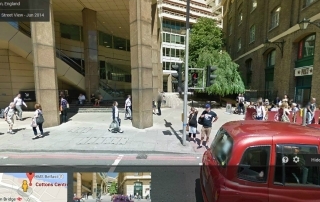 It’s two minutes walk away from the tube/railway station and beside Pret a Manger. 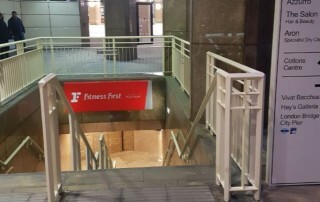 Follow the steps, under the arches, leading down to Fitness First. Ask at reception for Life Massage co DJN rooms.